gives you the very best of concrete’s most excited trend. By stamping freshly poured concrete, we can give you amazing designs, textures, and more. It can look like brick, slate, flagstone, stone, tile, wood and all kinds of patterns and texture. You can get the look of traditional materials. 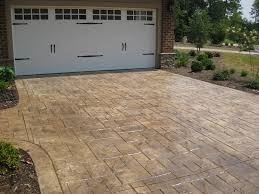 But with stamped concrete you get a much more durable surface with less needed maintenance. Stamped concrete and decorative concrete lasts and looks good for a very long time. Yet it is far less expensive than other types of materials. Stamped concrete is concrete that is patterned and/or textured or embossed to resemble traditional materials. Stamped concrete is commonly used for patios, sidewalks, driveways, pool decks, and interior flooring. It looks exceptionally attractive and holds up extremely well to the elements and heavy foot traffic. Your guests or customers will be impressed. Preventive Maintenance Support Services is Boca Raton ‘s best stamped concrete contractor. We have been satisfying local residents all the way back to our start in 1994. You get highly trained craftsmen and a commitment to quality that is hard to find. Our number one concern is you are thrilled with the stamped concrete we provide for you.